We are used to thinking of the First World War as the moment when society was confronted with the new horrors of industrialised warfare. Indeed, the scholarship of the war has focused in recent years on how far the conflict encouraged the development of the ‘modern age’. [i] New concepts of art, literature, politics and society are regarded as emerging from the war as societies adjusted to the legacy of bereavement and trauma. However, for many observers, the war was a return to a distant past rather than an embrace of an unknown future. Historians have noted the reference to classical or medieval motifs in wartime writing but to many the conflict was comparable to a prehistoric age where now extinct animals roamed the Earth. By asserting this vision of the ancient past, a war which wrought death on a previously unimaginable scale, was rendered understandable and meaningful. Far from some confrontation with modernity, the war marked a return to the past. 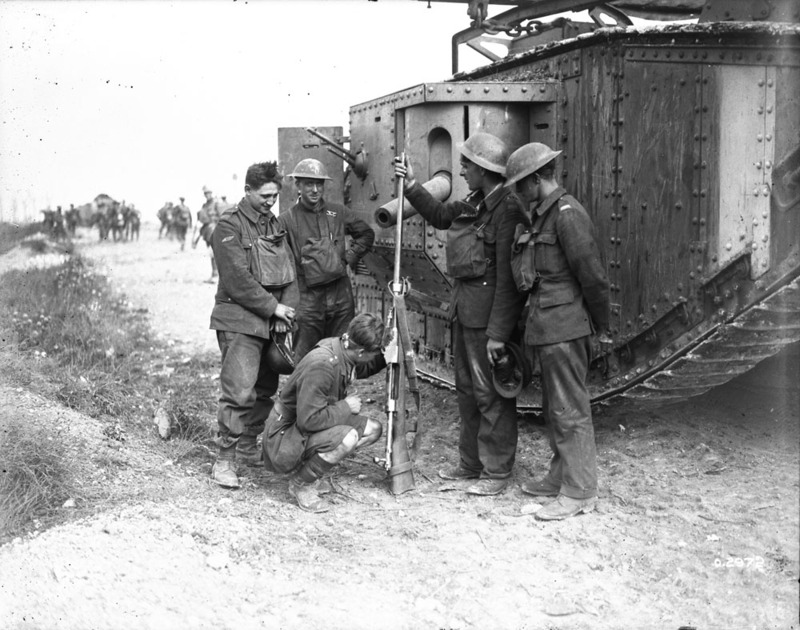 From their first introduction in 1916 by the British Army, these armoured vehicles were immediately regarded alongside the dinosaurs which had been excavated, studied and displayed in the museums of Europe and North America since the nineteenth century. Just as visitors to exhibitions were enthralled by the sublime sight of such creatures, this new military technology was regarded on similar lines. Tank Officer and Men interested in an anti-tank rifle captured by Canadians. Battle of Amiens. August, 1918*. 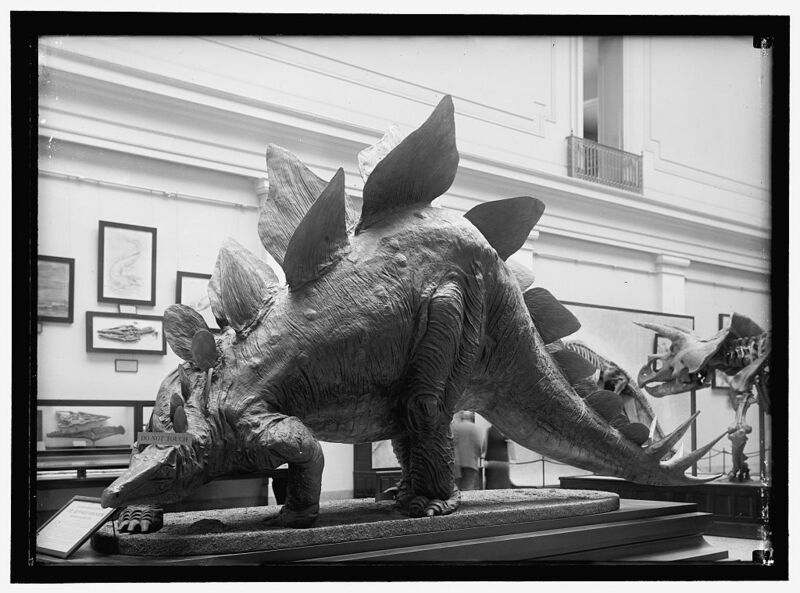 Dinosaur mounted in the Smithsonian. Available via the Library of Congress. https://www.loc.gov/item/hec2008005324/. Away from the battlefields, pacifist groups decried the ‘dinosaur’ mentality of the countries that waged war upon one another and stated that they would follow the animals into extinction. The ways in which the conflict was regarded as a return to the past not a new era demonstrates how contemporary observers used these allusions to make sense of the anxieties, fears and the excitement of the war. The image of the prehistoric era was evoked to demonstrate the significance of the event. This was a war which was comparable to the great creatures which once dominated the Earth. Despite the innovations and inventions brought by the war, it was understood not as the advent of the modern age but as comparable to the great ages of prehistory. *This image has no known copyright restrictions, available via Library and Archives Canada. http://data2.archives.ca/ap/a/a002916-v8.jpg. Credit: Canada. Dept. of National Defence/Library and Archives Canada. 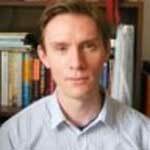 [i] Fussell, P. (1975), The Great War and Modern Memory, Oxford: Oxford University Press; Winter, J. (1992), Sites of memory, sites of mourning: the Great War in European cultural history, Cambridge: Cambridge University Press. [ii] Thomas, W.B. (1917), With the British on the Somme, London: Methuen, p.8. [iii] Aston, J. and Duggan, L.M. (1936) The History of the 12th (Bermondsey) Battalion East Surrey Regiment, London: Union Press, p.125. [iv] Carrington, C. (1965), Soldier from the Wars Returning, London: Hutchinson, p.198. University Press; Tate, T. (1998), Modernism, History and the First World War, Manchester: Manchester University Press. [vi] Anon, (1916a), ‘Tanks Proved Their Worth’, New York Times, September 17. [viii] Churchill, W. (1918), A Traveller in War-Time, New York: The Macmillan Company, p.84. [ix] Anon, (1916b), ‘Secret of Death-Dealing War Autos Closely Guarded by British Officials’, New York Times, September 17. [x] Townsend, R. (1917), “Tanks” and the “Hose of Death”, The World’s Work, 33: 195-207. [xi] Pemberton, M. (1916), ‘The Battle of the Tanks’, War Illustrated, October 7: 179, 182. [xii] Riddell, Brigadier-General E. and Clayton, Colonel M.C., (1934), The Cambridgeshires, 1914 to 1919, Cambridge: Bowes and Bowes, p.50. [xiii] Anon, (1918), The Muse in Arms. London: John Murray, p.117. This entry was posted in Machine and tagged language, Tanks, The Western Front, Warfare, World War One. Bookmark the permalink.